Exploring Hanoi continues to throw up much food for thought. This week, among other places, I visited the Botanic Gardens which, I was surprised to realise, are withing walking distance of my apartment. It took me three weeks to realise there was a park with trees and lakes and nature so close to me. So, of course, I just had to go and visit it and spend a few hours walking and wondering. My favourite thing there was the squirrels. 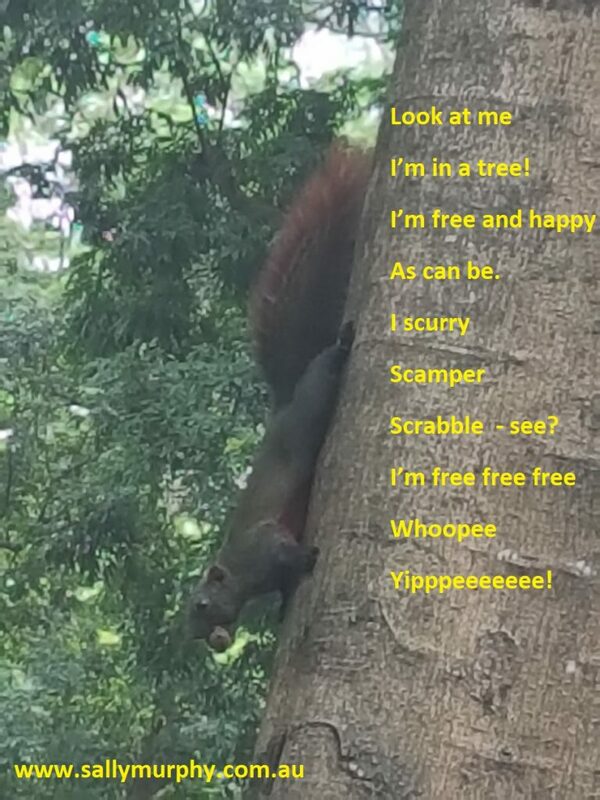 We don’t have squirrels in Australia, so i was delighted when I spotted them here, running up and down trees, along branches and collecting food. the one in the photo below froze hen he realised I was watching him. I think he hoped that I would mistake him for part of the tree. 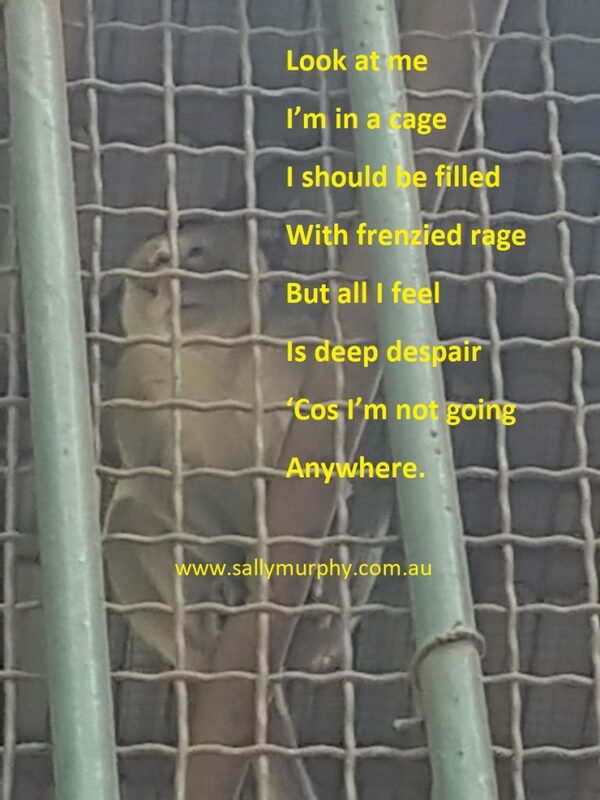 I have spent a lot of time thinking about these monkeys – and, my thoughts went to other caged animals. I know that zoos can play very important parts in education and even in preserving endangered species. But this was not a zoo. It was a cage of monkeys in a park. There was also a cage of peacocks. And around the world there are dolphins in tanks for entertainment, and all kinds of animals caged and restrained for people to enjoy. Heartbreaking. 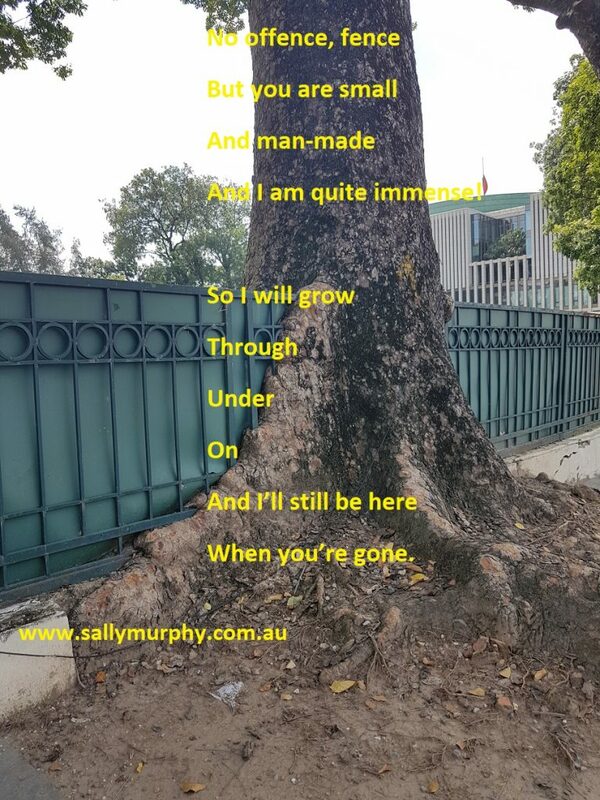 And something I will continue to ponder – knowing I am powerless to change everything but perhaps my power lies in raising awareness to make tiny changes. On a brighter note, later in the week I walked past this fence line and was amazed to see the tree roots growing not under or over, but seemingly through the solid fence. Nature is resilient and very very clever. So here is the Tree’s Trill. Sorry for a slightly depressing post this week. You are witness to my learning. 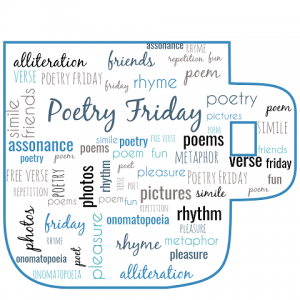 For more poetry goodness, please visit the Poetry Friday roundup hosted by Jone at Deowriter. 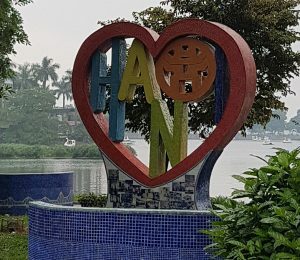 Since arriving in Hanoi I have spent a lot of time walking. Sure, there are lots of other ways to get around, but where possible (in the heat and depending on distance) I like to walk, because then I get to see and hear and experience so much more. But walking around a busy bustling city is not always easy. Many streets have no footpaths and, when they do, often the footpaths are used for anything but walking. So often the walking has to be on the road, which can be perilous. 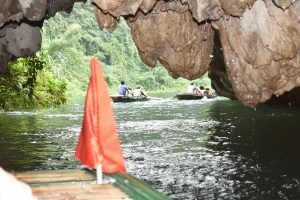 But hey, I like an adventure! 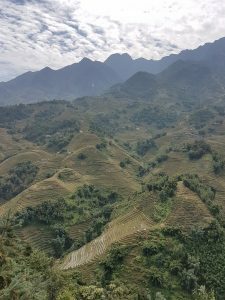 And, of course, my thoughts on all these sights spurned a poem so that I had to hurry home from one of my walks to draft a poem about Hanoian footpaths. In spite of the cluttered paths, I’m certainly clocking up some steps on my step counter. In fact, I’m off now for another walk! But later I’ll be stepping out around the blogosphere reading the other Poetry Friday posts. You too can see this week’s roundup at The Poem Farm.